Here is a great way to give a gift this Valentine's day! 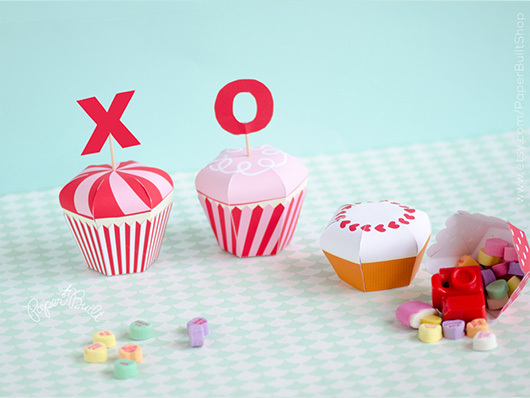 Make one of these paper cupcakes by PaperBuiltShop and fill them with treats for your valentine. They come as an instant download printable file so if you have left it to the last minute, you still have time to make them. They take only a few minutes to make and are even more adorable in person! You can even personalize the flags to make your own unique message. 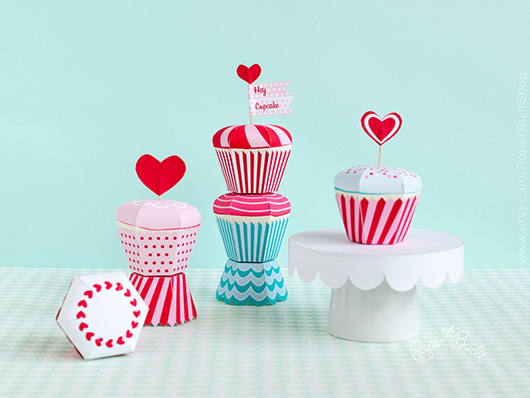 Thanks to Sarah from Paper Built for letting me share her paper cupcakes! You can purchase the printables for the cupcakes here. Enjoy!